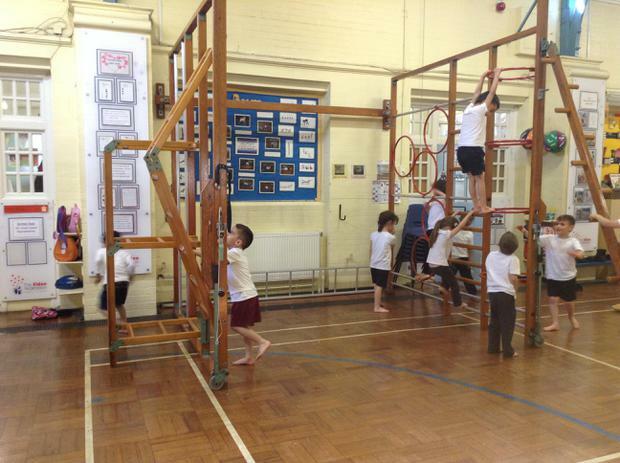 Orange class have had lots of fun using the large apparatus in P.E. 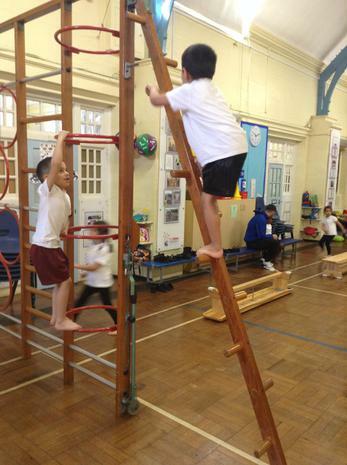 They are learning to use the apparatus safely and practice different ways of moving using the apparatus- climbing through, under and over. 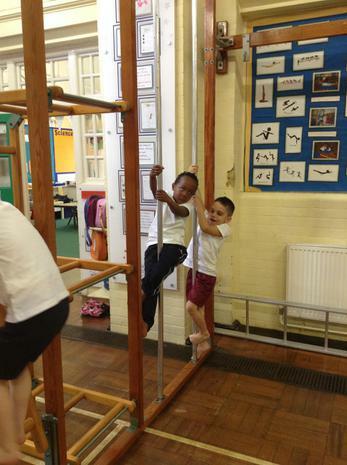 It is great to see their determination when they practice climbing to the top of the pole! If children feel they need a little more support settling into school, we have ‘buddies’ who help support that child by playing with them regularly in the class and during lunchtimes. This helps the child to feel secure and happy. Our newest child now is more confident and plays with lots of children from different classes! 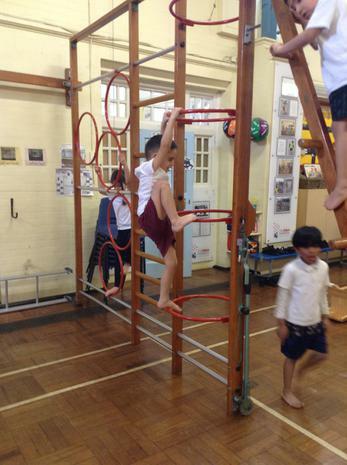 We have weekly Gym Dough sessions which are a physical intervention that is fun, engaging and highly kinaesthetic. Gym Dough develops children's fine and gross motor dexterity, which helps to support their pencil grip. 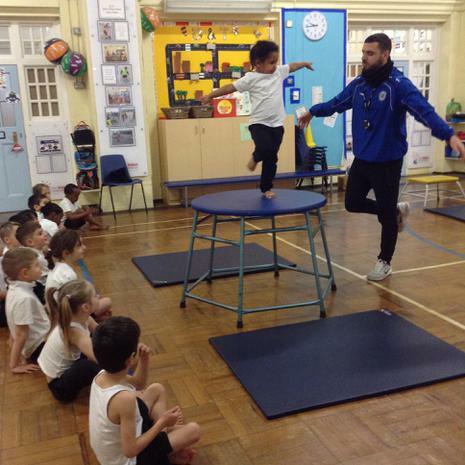 In PE, we have been practicing different rolls and ways of moving on the mats. 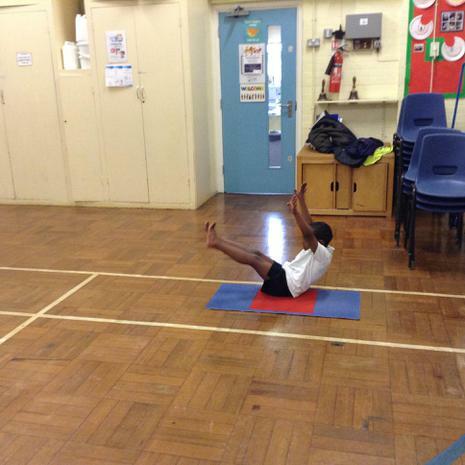 Children enjoy showing off their forward rolls! 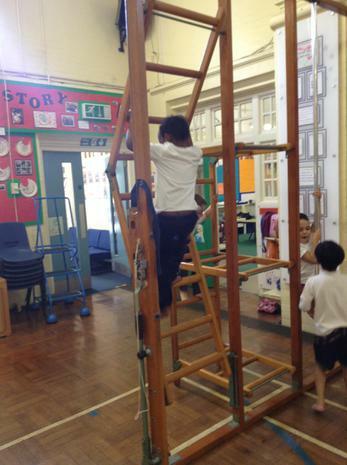 We have so much fun on the monkey bars developing our upper body strength and our balancing skills. We have been practicing our hand eye coordination skills by threading numbers. We have a special ‘funky fingers’ table where we practice our fine motor skills, like threading, picking up objects with pegs and using stickers to create patterns! This week we have been practicing forming our sound of the day on whiteboards. 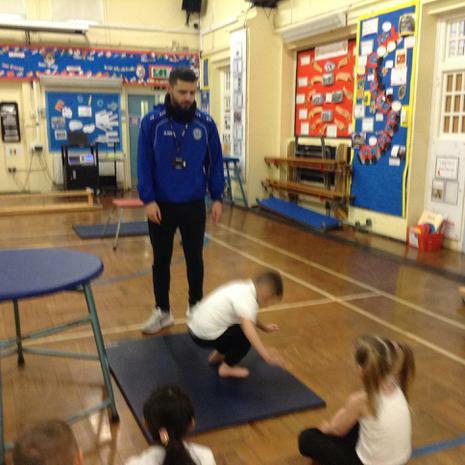 In orange class we have been exploring different ways of moving around our mats, jumping, hopping and sliding on our tummies!